Blogging is the great way to publish your content online and make it available on internet 24/7 . 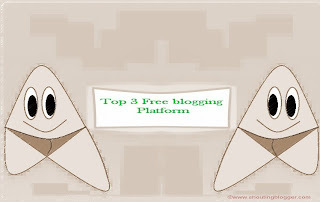 Since there are many free blogging platform who allows there user to create and control there own blog for free but which one is best for creating blog .On the basis of there feature list and after researching lots we have found the most preferred ,used and reliable Top 3 best Free Blogging platform to Create your own blog for free . However out of all free blogging platform only few reputed blogging platform offers unlimited bandwidth , uploading images , text and third party html codes ,for free but all free blogging platform have there own limitation . you will learn when your try them . 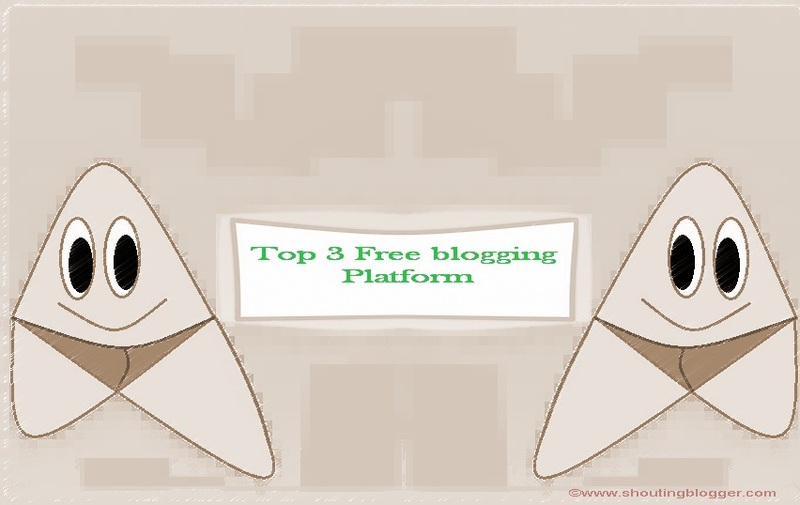 We would recommend you to test all the three blogging platform to test and find out best blogging platform for your blog . Blogger is the one of the popular free Blogging platform , also know as Blogspot . It allow there user to build up-to 100 Blogs with one blogger account along with free Sub-domains ,Free Unlimited bandwidth for there blog etc . Most important feature that makes blogger as first user choice is ability to earn money via blog .You may monetize your blog with ads and free built in blogger dashboard . It allows indirect storage space for uploading Image ( using Picassa ) and videos ( Using Youtube ) for free . Blogger's interface is user-friendly dashboard and easy posting and publishing boost blogger popularity among people.So if you are creating your blog for publishing your content online along with money making then blogger is best option. Blogger offer unlimited bandwidth , Easy to upload Image and videos from blogger posting window . Blogger allow You to monetize there blog by placing there ads code through layout window in blogger you can also add third party html code like affiliated links etc. You can Upload , customize your own custom template in blogger . Blogger offer there user to backup there template and post by downloading there post and template through blogger dashboard . You can upload Images , Pics , software upto 2gb for free directly to your blog . Your blog will get unlimited bandwidth , mean no restriction of traffic limits per hour . Tumbler is growing as popular micro blogging platform available with bundle of features to make micro blogging easy and fast for the People who are hard to manage time for writing big Articles you can share anything in your tumbler blog from text to quotes, images to wallpapers , photography to photos whatever you want to share with ease. you can register your free Sub-domain name as www.example.tumbler.com or may park your own Top level domain name for your blog etc moreover you can customize your tumbler template choose theme for free as well as premium themes ,Add custom css , Optimize your tumbler theme for mobile user , you can also add pages with editable html page source code option .You can also monetize your tubmler blog , however tumble is more of Sharing your stuff like pic , video ,images ,text good for micro blogging site but bad for monetizing that's why in our Free blogging platform list tumbler lies in Third . Tumbler Offer there tumbler blog user with unlimited bandwidth . Hence No restricted Traffic spike and you get unlimited traffic visit for free . Tumbler allow there tumbler blog user to park custom top level domain name . With Tumbler you can edit theme html and customize your theme according to your need .